If you are seeking spectacular views and a place to stay which can offer warmth, comfort, quality and character, you can be assured of a friendly welcome when you stay at the Glyn-y-Coed. Situated in the best position in Criccieth and facing due south, the Glyn-y-Coed overlooks the Esplanade and offers splendid views of Criccieth Castle, the mountains and beautiful Cardigan Bay. 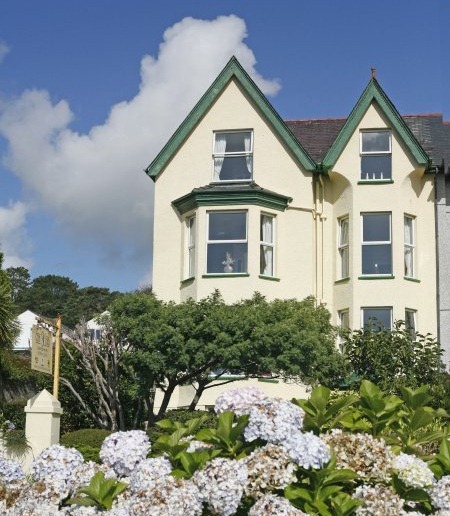 Having been awarded with 5-stars, we believe the Glyn Y Coed to be one of the finest places to stay in Criccieth. Some of our bedrooms, our lounge, breakfast room and our patio garden overlook the sea. We provide a very healthy and tasty breakfast with plenty of choice. The meat used is from a local, award-winning butcher.